Atlanta was selected by the USOC over bids from Nashville, San Francisco and runner-up Minneapolis to be the U.S. representative in international bidding. The initial push for 1996 coming to Atlanta came from Billy Payne and then Atlanta mayor Andrew Young, former US ambassador to the UN and Atlanta mayor Andrew Jackson touted Atlanta's civil rights history and reputation for racial harmony. Young also wanted to showcase a reformed American South. The strong economy of Atlanta and improved race relations in the South helped to impress the IOC officials. The Atlanta Committee for the Olympic Games (ACOG) also proposed a substantial revenue-sharing with the IOC, USOC, and other NOCs. The highlights of the games were a record participation of 197 nations, all current IOC member nations, and the Summer Games were the first to be staged in a different year from the Winter Games. 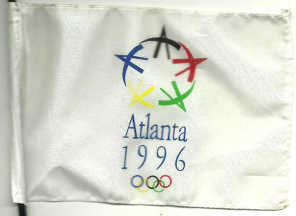 An Ebay offer shows a waver with that design: Five capital letters A, styled in a way that is reminiscent of people, and coloured in the colours of the Olympic Rings, form a circle with almost touching "hands",with black at the top, then continuing around the clock with red, green, yellow, and blue, below this the word "Atlanta" in blue, and below that "1996" in blue but spaced to be as wide as the name, and at the bottom the Olympic Rings, rather small, all on a white field. 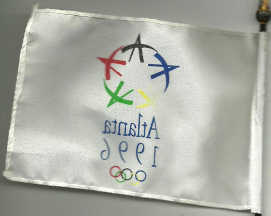 The reverse of the flag shows the reverse of the design. If the current rules or bid flags were already valid - I don't see if/where we mention those - then this would have to be a candidate flag, as it uses the Olympic Rings. I think it's a single shade of blue, throughout, rather than separate shades in different elements. I'm not really sure if it's the same blue of the Olympic flag, but I do think it should be only one shade. The same for all six colours, I guess. Indeed that is the official bid logo. They were organized by the Atlanta Olympic Committee. The flag is seen here being waived with the logo at 9:40 in this video. 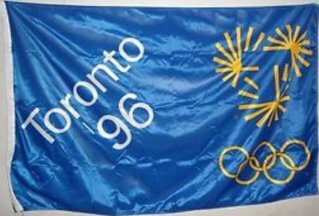 At eBay is being offered an "Ultra RARE Olympic Games Olympic Bid Toronto '96 Flag". I don't know about the "Ultra RARE" bid, as it isn't the first time I see one offered, and since the current bid for this one is only nine dollar. Does anyone know how far Toronto came with this design? The Toronto bid logo but in a different color scheme. The Melbourne bid logo is also featured on the flag. 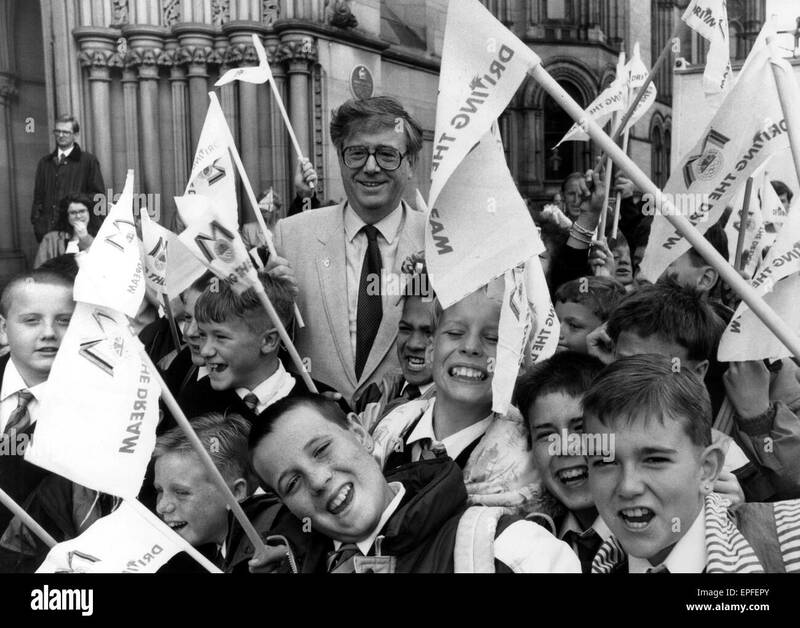 The Manchester bid logo is also featured on the flag plus the motto below "Driving the dream". As for Belgrade, this is the only logo I've been able to find.